Mobile apps are at the top of the tools that fasten global people. It’s not any glue but the native or hybrid mobile apps that all of us frequently browse. While tussling with the huge rush in the metro, we don’t compromise with the shopping apps’ browsing. Searching what’s new on our favourite eCommerce app has become an addiction. Scrolling down and down for glancing something new & interesting is one of the best ‘time-pass’ now. However, mobile apps for shopping are in millions. Then, why do we our eyes glue to just a few famous shopping apps? What are the distinctive features they have that other apps miss? This blog is specifically dedicated to the mobile app developers who move heaven & earth to deliver managed IT services via an app. 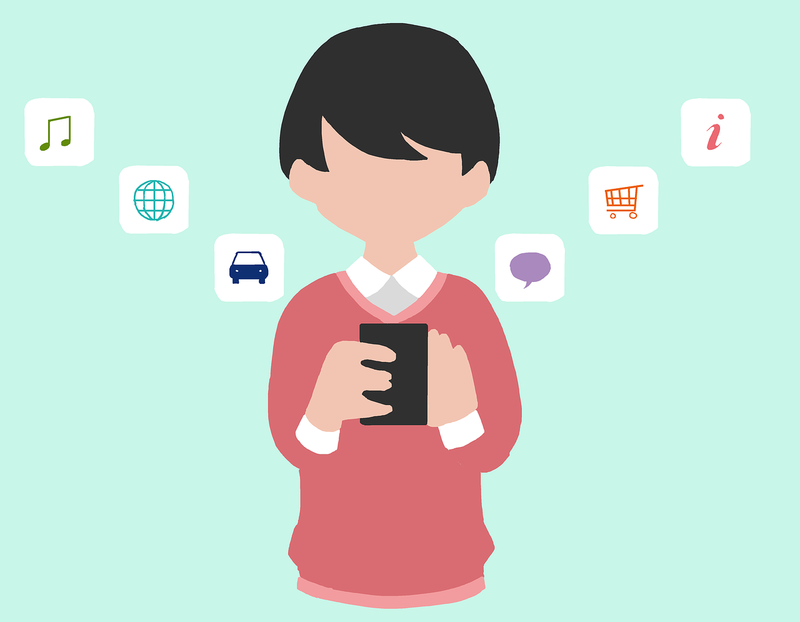 Here are a few tips for the mobile app developers to consider dead seriously while developing the shopping app. Google has officially claimed that approx. 50 % traffic hits from the mobile app. In US, this percentage goes up to 58%. If such a huge part of audience comes in from the smartphone or iPhone, the user experience claims the top priority. Now, think of a scenario in which the user was trying to explore the dresses on your eCommerce hybrid app. He waited for 5 seconds. Despite being impulsive, his waiting time stretched on & on. Anyhow, the site got accessed. But no sooner he clicked on the ‘discount’ tab, the navigation did not work. Despite several taps, discount navigation stayed firm. It was not working. The annoyed user went away and uninstalled the app. This is what, I’m sure that you don’t want. Let the customers appreciate how you have added hyperlink correctly for seamless navigation. Create a responsive, engaging and expressive layout because a good customer experience en routes to fat profit. 2. Integrate CRM: CRM is the library of customers’ database. What we as a customer feeds for getting registered and placing online order are a few personal details that it stores. How can this very crucial information be left from seeking? Therefore, integrate an agile and highly functional CRM to the app. If its development seems like hammering head at the wall, go for the SaaS based one and let the owner enjoy a simple way of analyzing customers’ data and design strategies to target them. 3. Cater real-time experience: Wondering how an app developer, who provides managed IT services via the mobile app, can cater real time experience? It’s true, he can do so. Since the CRM integration, email integration and social media embedding are his forte, he can unify all such features to the mobile app for accumulating valid customers’ data in real time. All these and many more features would ensure seamless communication between the users and the owner. A prospective car buyer, let’s say, interacts via live chat to know the on-road price of Tata’s Range Rover car. The live chat would let him grab the real time experience while communicating directly with the customer support via the app. 4. Pull the real-time data for analysis: The embedded social media and live chat features enables pulling out the real time data for analysis. That analytical data is a blueprint to derive path-breaking offers and strategies that can wrap up at bumper sale. Let’s say the mobile app has an embedded report that generates automatically while capturing customer’s sessional visit on a specific day & time. It’s the real-time data that the owner accesses to prep up customer profile, his likes and dislikes and so on. Nothing can beat the magic of contextual experience online. Recount the Google Adwords ad that is found space-capturing on every web page. They have the reflection of what the user has browsed earlier. However, the user browses for the free web templates. But Google caters ads of the mobile phone along with the contextual information. Truly, the searches in contrast to the finding are vice-versa. So, try to build up feature that can be extremely useful for providing contextual experience. For example, add a ‘size chart’ or ‘style’ in between the dresses to navigate directly to the requisite alternatives.